At Ashbrook Roofing, we stock a huge selection of flat roof roofing supplies, suitable for both constructing and repairing a flat roof. 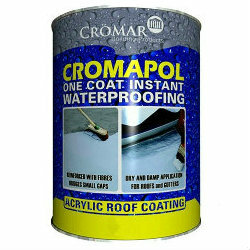 Flat roof sealant is designed to make a roof surface as watertight as possible. This design aspect is particularly important for flat roofs, which don’t have the natural draining capabilities of a pitched roof. Did you know that we also stock a range of sealants and mastics? The sealants in our range are suitable for general building, as well as glazing, and offer UV and weather resistance. Any questions? We’re happy to answer any you might have about the products we stock. We’ve been working in the roofing industry for more than 30 years and in that time, we’ve built a wealth of experience and knowledge that we’re happy to share with our customers. Contact us now for more information on flat roof sealant.